Marine Surveyor Group partners, Rollie Gordon, Baron Rohl. MSG provide their clients with precise, confidential, impartial surveying, consulting and worldwide new yacht construction services. I have bought and sold over 35 boats in my lifetime. MSG has provided me with the most detail specific and meaningful survey that I have ever received. Thank You so much! My experience with MSG was terrific. Thanks Rollie, a most professional survey, and appreciated. HO-Detail-5-featuredThe Group shares the knowledge of a combined decades of professional maritime experience building, operating, repairing and surveying vessels from 25 to 250+ feet. The surveyors are eager to answer questions from clients before, during and after every survey. While Marine Surveyor Group primarily performs surveys for the purposes of pre-purchase, insurance and financing, their consulting services can be tailored to your specific needs. For your protection, all consulting and correspondence is kept strictly confidential. © 2015 Marine Surveyor Group - All Rights Reserved © All logos and trademarks are the property of their respective owners. 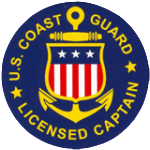 Copyright © 2019 Marine Surveyor Group. All Rights Reserved.